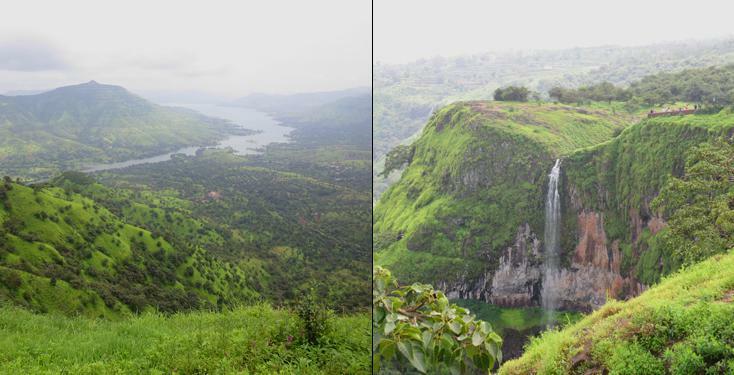 Are you planning to visit Panchgani or Mahabaleshwar in Maharashtra state? Read this interesting travelogue which explains tourist attractions and other useful information for those planning to visit these tourist spots. Last year, in the month of September, a former colleague of mine and I embarked on a spontaneous journey to Panchgani. Thinking back, it seems like we didn't plan the trip at all, because I don't remember us sitting and discussing accommodation and sightseeing. In fact, I don't even remember us meeting more than twice before we decided we would skip town (we hadn't had contact in months before we were drawn together again!) and cross the first couple of destinations off our bucket list. The next day, we bought a bus ticket to Pune and spent the rest of the day convincing our respective families that we were not running away together and that we would be fine on our own. Although the journey to Pune was bumpy, once we reached Panchgani, our excitement knew no bounds. We were tired from the long ride but, once showered, we couldn't sit still in our room and decided to rent a two-wheeler that would take us around the hill station. The first place we visited was St. Joseph's Convent, where my travel partner was a former student. From there, we drove up to Table Land for the most breathtaking views I have ever seen in my short dull life. St. Joseph's Convent is a reputed boarding school for girls. I was amazed to find that the school is more than a 100 years old. It still stands tall and beautiful; a pair of iron gates protecting the entrance into the premises… premises that boast of a clean walkway, a flower bush right in the middle of the path and the sound of bell ringing to signify class had ended. Slightly nervous, we loitered in the corridor, wondering if we should step into the staff room or wait for a Sister to notice us. Luckily for us, a couple of Sisters recognized my partner from the olden days and she got us the permission to explore the school if we wanted to. Knowing her way in and out, she took me through the classrooms and empty dormitories and showed me the laundry room, the church within the school, the kitchens and the lovely view of the grounds from the topmost window. I was especially in awe of the church. Some of the statues were very well made and I couldn't seem to tear my eyes away from Jesus Christ. The utter silence there filled me with a feeling of peace and calmed me. In the end, feeling slightly overwhelmed and maybe a little jealous for not being the one who studied in St. Joseph's, I followed her back to the main entrance where we thanked the Sisters and went on our merry way to Table Land. Said to be the highest point in Panchgani, a fact I had no idea about until that very moment, Table Land is extremely windy, crazy cold and has the most stunning scenery I have ever seen in my life. Of course, I haven't been to New Zealand or Canada, so I have nothing to compare the experience to but at that point of time, before which the highest I had gone was the roof of my 4 storey building, there was nothing more beautiful to me than standing at the edge of the plateau and looking at the horizon, breathing in the amazing sight that I was lucky enough to behold. Despite being followed by relentless horse keepers who urged us to take a ride on their horses for a nominal fee, the two of us managed to walk the entire expanse of the plateau without breaking a sweat. Granted, we couldn't sweat because of the cold wind but the sights and the air was refreshing and kept us from getting tired. We clicked a lot of pictures while we walked – of the distant hill, the monkeys, the horizon, the horses and their keepers, the mini lake in the middle of Table Land and even the grass that was sprinkled with pretty little white flowers. Before long, we started freezing and the urge to empty our bladder began to take over our decision to build a home on Table Land and live there for the rest of our lives. So my travel partner, with a thin joke-of-a-shawl hanging on her shoulders, and I, in all my sweater-less, shawl-less glory, slowly trudged down the path, trying to ignore the freezing cold and holding it in with all the control that we possessed. I remember looking back once and saying that we would visit again the next day. Ignoring my pleas to head back to Table Land the next day, my travel partner dragged me to Mahabaleshwar for a day trip. On the way, we stopped at Kate's Point for a couple of hours. There are total 3 points there – Kate's Point, Echo Point and Needle Hole Point – that we were determined to see despite the cold. This time we were prepared. Bundled up in a cardigan and shawl and gloves, it seemed like we were on top of the world as we stood there and looked down at the tiny trees and the river in the distance. We also tried screaming out our names at Echo Point to see if our voices would echo. The view from these points was beautiful. I had a strange urge to close my eyes and stretch my arms in a Titanic pose and I would have done it had my companion not stopped me at the right moment. For what seemed like hours, we stood there ogling the scenery and not getting enough of it. In the end, it was the urge to pee (again!) that broke through our profound and intense brooding session and forced us to walk back to our hired cab, but not before a satisfactory round of pointing and laughing at a family of monkeys that looked cute enough to eat. The Mahabaleshwar Market is a huge market consisting of dozens of shops that sell all kinds of things. From jewellery to clothes to handbags, from chocolate fudge and 'chiki' to a tall heavy glass of strawberry cream, this place has it all. My partner, who loves to shop, went crazy seeing all the colour and variety. 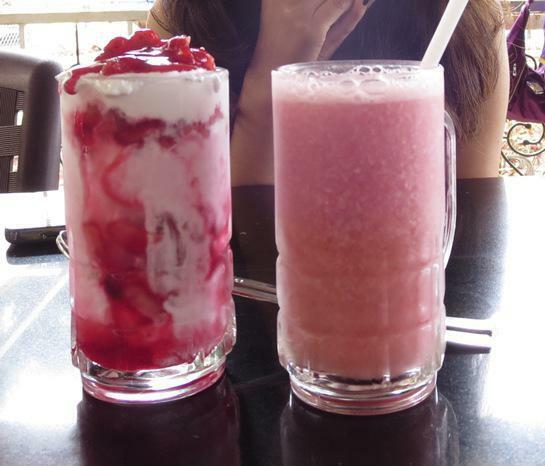 I reluctantly followed her from shop to shop, occasionally stopping to get a strawberry dessert for myself. The products sold in the market are pretty good and we were able to negotiate for best prices on earrings and handbags. If we could, we would have stayed there till the sky grew dark but it started to rain and get foggy, so we left, with our moneybags considerably lighter. Who doesn't love chocolates? Seriously, who doesn't? 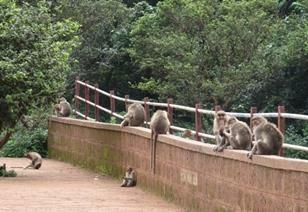 We had one more day left of our mini vacation and we decided we would go back to Mahabaleshwar. But on the way, something else caught our eye. The Mazaana chocolate factory in Mapro Garden was the one place where we didn't need time to ogle and brood at all. We took a quick tour of the plant where we discovered how chocolate was made and then promptly made our way to the back of the plant where hundreds of tempting Mazaana chocolate boxes graced the shelves. Dark chocolate, white chocolate, hazelnut chocolate, raisin chocolate… it was like an Eden for chocolate lovers! Ignoring the desire to buy out the entire store, both of us purchased two boxes each and proceeded to walk around the Mapro garden while we dug into those boxes with zeal. The place was divided into 4 areas – the chocolate factory; the garden and seating area; the area where they featured and sold Mapro products (jam and syrups, etc); and the dining area, where we eventually found ourselves, awaiting our order of an exorbitantly priced sandwich. Despite leaving a hole in our pockets, the sandwich turned out to be pretty good and we soon realized, mostly from the wonderful smell and from looking at the people dining around us, that all the recipes were delicious and worth tasting at least once. But we had already splurged on the chocolate boxes, so, like good little girls, we finished our sandwich and left Mapro, inwardly resolving to visit again should we ever come to Mahabaleshwar in the future. Our cab driver, a patient man, took us to Venna Lake next. From what I learned, it is a manmade lake and a popular tourist attraction. We sincerely wanted to take a boat ride around the lake but that day, the area was exceptionally foggy. At one point, I remember not being able to see anything beyond a few feet. Even though we had covered ourselves with layers of clothing, hand gloves and cotton plugs, the temperature drop and the surrounding fog made it difficult to behold Venna Lake in its complete glory. Despite that glitch, we managed to enjoy two steaming cups of corn 'bhutta' and click some great pictures of us standing hidden in the fog. But perhaps the best part of our experience on Venna Lake was the horses. They were so clean and well fed that they almost shone in the light. Their hair was slick and brushed and their bodies strong as they followed their masters around and neighed in contentment. Most of the horses had celebrity names that made us laugh – like Amir, Shivaji, Honey Singh, Veer, etc. We would have done some horse riding had it not been for the fog and the immense cold. That night when we arrived back at our room, we were happy and satisfied with our visit. I knew that we hadn't even covered half of Panchgani and Mahabaleshwar but we had seen enough to boost our morale and the respect we had for Mother Nature. For our three unforgettable days spent in this hill station, we stayed at a place called Krishna Villa, which is walking distance from the Panchgani Bus Depot. 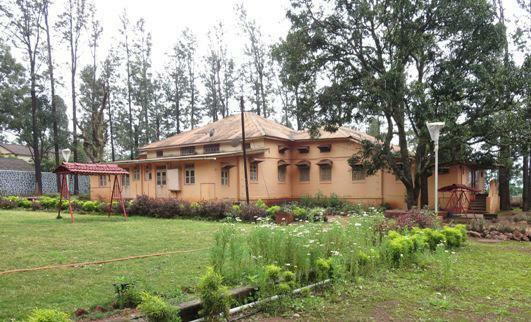 It is really a very big house which has been turned into rented accommodation for tourists. The rooms were clean and we had T.V. and hot water all day. There was also a kitchen which was a boon for us because we cooked noodles for dinner and breakfast. There was a garden in the premises and I am sure had we not gone in low season and instead visited in high season, the garden would have been well maintained and lush green. Staying in Krishna Villa was cheap, convenient and comfortable and we are glad to have chosen it as our place of residence for those three days. Both of us left Panchgani with good memories and a box of chocolates. Why this trip is so important to me is because that was the first time I had taken a step towards what I really want in life – to travel. I have never been anywhere and my trip to Panchgani was a stepping stone that made me realize that maybe my future in travel isn't so bleak and that if I want, I can travel alone without a group or my parents to look over me. And how could I forget the most important and cherished thing that came out of this trip? Yes, my so-called travel partner and I are now friends. Maybe not fast friends, but friends who understand each other. Our friendship is special because it was born out of a need to travel, a need to break away from our routine life, a need to prove ourselves… I guess that's what happens when you stay with a stranger for three consecutive days. You become friends! I am like you too, I don’t enjoy hopping and jumping from one place to another but I find my peace by travelling. I’m scheduling a trip to the beautiful Panchgani and Mahabaleshwar soon and I love the information and experiences you have shared in your very interesting blog. Hi, Soumya. I'm glad you enjoyed my article. 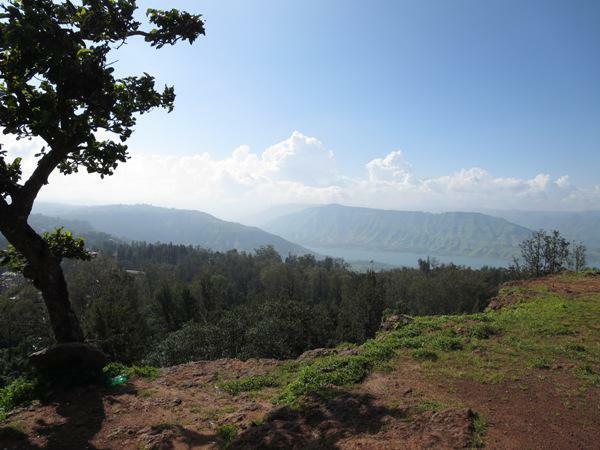 My trip to Panchgani-Mahabaleshwar is very special because it was my first time out alone. I hope you have as much fun as I did when you go. Looks like you enjoyed this place. I have been to Panchgani during my childhood and at that time I didn't really realize the value of this place. It is a great destination for week-end trips and family trips. I wish there was a holiday stay or cottage available in the top of those hills. I really love the scenic beauty from there. Do you recommend any budget hotels in the area? Thank you for sharing an excellent article with detailed information and good images. Actually, I am working in Mumbai, but not yet planned for a trip. Impressed with your article, definitely, we will plan a trip to Panchgani and Mahabaleshwar. A truly wonderful travel memory to read. Mahabaleshwar at this time may be pretty risky to visit considering we have heavy rainfalls and the chance of Mumbai-Pune expressway getting closed for any unforeseen causes like landslides for e.g. I hear that the expressway is unsafe with muggers and dacoits in some areas. Is this true? Actually, Udaipur is not a big city, so travelling by car is safe. Very nice article, helping those who want to visit the beautiful tourist destinations around Mahabaleshwar. Book taxi or cab service now at ganraj Travels at an affordable rate. You can select your own customized package. Hurry up! Very nice article! Well narrated.